For courses in construction procedures, practices, techniques and processes; and in commercial construction. Also applicable in Introduction to Building Construction and or Construction Management courses, and in survey or introductory courses in construction for architects and engineers. This up-to-date and practical text offers a complete and well-rounded approach to modern construction principles and practices. Each chapter, while complementary to other chapters, can be taught on a standalone basis, maximizing instructional flexibility in diverse construction, architecture, and engineering courses. 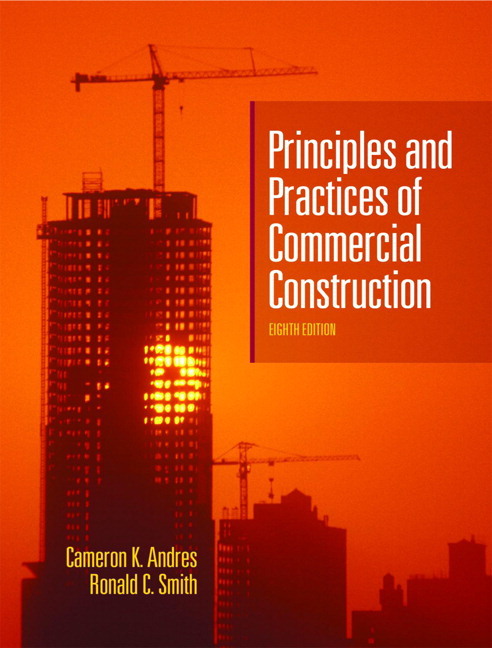 PRINCIPLES & PRACTICES OF COMMERCIAL CONSTRUCTION, 9/e shows how to apply design theory to the final constructed process, and provides crucial working knowledge for all contractors who must effectively manage subcontractors. Progressing from basic through advanced material, it enables students to follow design specifications through a complete project. Since this text is on the approved reference list for numerous states that require contractors to pass licensing exams, it offers even more value for students who may need to pass these exams later. This edition's enhancements include improved chapter organization; a new introductory chapter; and valuable new coverage of Proctor curves. Presents students a non-intimidating overview of construction processes. 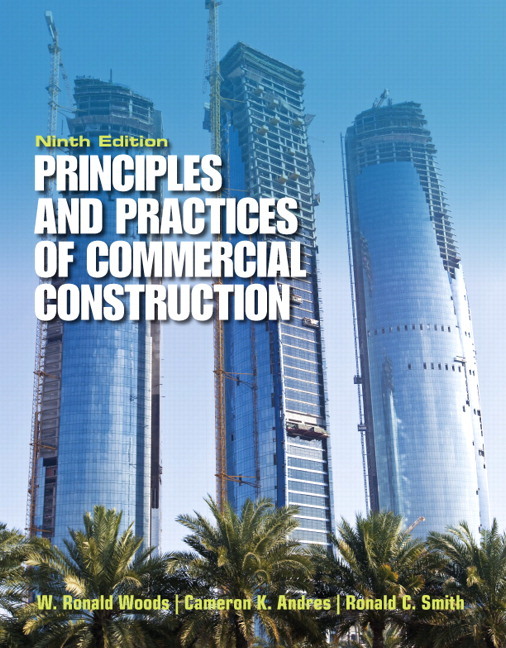 Presents logically organized overviews of commercial construction principles, equipment, materials, and methods. Helps students understand each phase of the construction process in context. Offers well-organized coverage of tasks ranging from site evaluation and layout through interior design and building finishes. Gives students an in-depth understanding of modern materials used in heavy construction. Discusses widely-used materials, their properties, and the tests performed on them to ensure their suitable performance. Helps students review, prepare for, and succeed on the current ACI Concrete Field Testing Technician Grade 1 Certification Program exam. Includes review material aligned to ACI's exam. Helps students master the core principles of structural design. Presents rationales for choosing methods, equipment, and structural details in diverse building scenarios. Gives students hands-on experience through multiple worked examples. Demonstrates current methods for estimating excavation quantities, pile capacities, concrete pressures, and more. Presents extensive practice opportunities to reinforce conceptual understanding. Includes hundreds of chapter-ending review questions. This edition has been reorganized to improve instructional effectiveness, adds a brand-new introductory chapter, and contains valuable new coverage of Proctor curves.